Here we are, on the eve of the last game of the regular season. Game 82. The Raptors should be proud of completing another successful campaign. They have put themselves in prime position to make a legitimate run for a title for the first time in franchise history. They are division champs, have asserted their dominance at home, successfully integrated a wealth of new and dynamic talent and have shown positive growth from players up and down their roster. But feeling proud is not enough as these Raptors have much grandeur goals in mind. 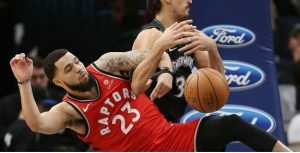 Tonight, Toronto had one last piece of business to take care of and it came in the form of a scrimmage game against the G-league Minnesota Timberwolves. The Wolves were without 6 of their top players meaning that they were using this game to take a long look at their future prospects. The Raptors responded by sitting Kyle Lowry and season workhorse, Serge Ibaka. This game was nothing more than a competitive practice run. The Raptors got their work in and then turned it over to their young guns who got an extended opportunity for some quality time. Both teams were going through the motions but after 48 minutes the Raptors were lifted by their talents and laughed their way to their 58th win of the season. Fred VanVleet put on a masterclass as the point guard and leader of the Raptors tonight. He sees the game two steps ahead of the opposition and as a result he can exploit his unmatched quickness and speed to take advantage of slower bodies. Fred was in control of the game whenever he was on the floor. He gives Toronto a sense of calmness and trust. Steady Freddy poured in 16 points on 6/12 shooting from the field to go with 2 rebounds, 4 assists and 3 steals. 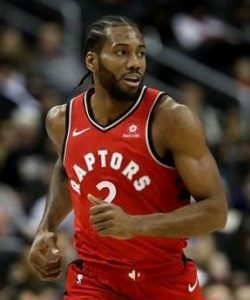 He has elevated his game to the point that the Raptors see no drop off when Lowry is out of the lineup or on the bench. Fred is arguably playing the best basketball of his career. 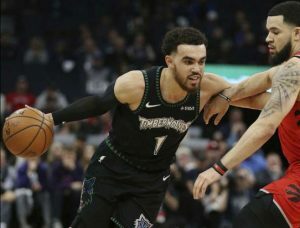 Timberwolves point guard Tyus Jones has ben filling the point guard duties admirably in the absence of Jeff Teague. It has been a slow development for Jones, I was surprised to learn that he has been with the Wolves for 4 years. Tyus had a decent game tonight scoring 11 points on 5/9 from the field to go with a rebound a steal and a game high 10 assists. It could be argued that these are empty stats but earning a double-double on any night is an impressive feat. In a meaningless game, Jones put in a solid effort. Chris Boucher took advantage of some added playing time to run amuck in the paint and from behind the three-point line. He is a bundle of energy that plays with a chip on his shoulder. His second and third efforts really makes him stand out in a crowd. You can see why he was named G League MVP and defensive player of the year. Boucher has a tantalizing set of skills and physical attributes that leave NBA scouts salivating over his potential. He is like a much rawer, unrefined version of Pascal Siakam. The Montreal product finished with 15 points, 2 assists, 3 blocks and a game high 13 rebounds. Boucher has the perfect template to emulate in Siakam and if he follows along that path he may develop into a scary talent. Norman Powell had an excellent game as he continues to stake his claim as a featured player of the second unit. Everyone remembers how Powell broke out a few years ago against the Indiana Pacers for an incredible playoff series. Norm seems to be approaching that same level of play as the season winds down. His three-point shooting has become more consistent and his slashing will be needed when teams try to slow the game to half court sets. Norm finished the night with 10 points, 5 rebounds, 2 assists and a steal. I shouldn’t be surprised that he has elevated his play, it’s just the Playoff Norm. Kawhi Leonard was playing at half speed, but even a reserved effort from Leonard is enough to earn him the Player of the Game. Leonard scored 20 points off 8/12 shooting in a ho-hum effort. He also added 6 rebounds to go with an assist and a steal. Not much to take from this game aside from the fact that Kawhi was laughing and smiling in his time on the floor. That happy confidence is a welcomed sign and will hopefully serve as a good omen heading into the post season. I am excited to see how far a motivated and healthy Kawhi can take this team. Lost Dogs – The Timberwolves experiment is tough to figure out. They have some enigmatic talents in Wiggins and Towns to go with a strong core of veteran bodies but have yet to taste any real success. Do they really have a plan for the future? Live by the 3 – The Raptors were hot from deep nailing 16 three pointers. Glass Dominance – The Raptors were monsters on the boards finishing with 54 rebounds as a team. 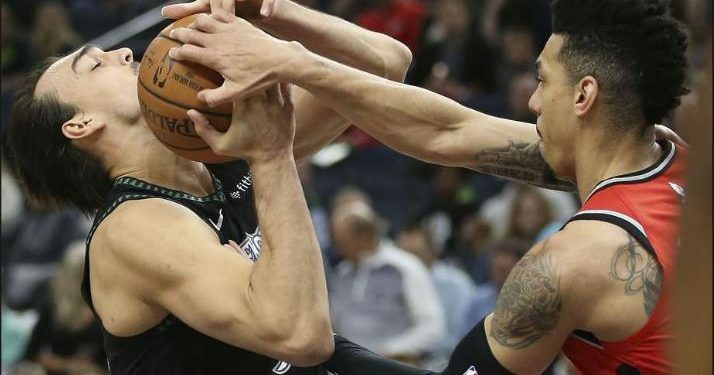 The Timberwolves were only able to grab a paltry 35. Purple Rain – I love Prince just as much as the next person, but Jack Armstrong was out of control with his frequent singing. If nothing else, it shows how excited he is for the postseason. We the North – The playoffs are a few days away and the Raptors are ready. Are you? Time to get hyped! It all starts this Saturday when the Toronto Raptors host game 1 of their first round playoff series.